You'll recieve details about how to prepare for the workshop by email after you register. Class size limited to 10 - register early! 2. Or, make a deposit of $75 now to to reserve your spot. The remaining $150 of your class fees will be due by September 25th. 3. If a custom payment arrangement would allow you to enjoy the workshop, please make the $75 deposit to reserve your space and then email me at salteecreative@gmail.com to propose a plan that works for you. I'm flexible as long as payments don't extend past the end of October, 2019. 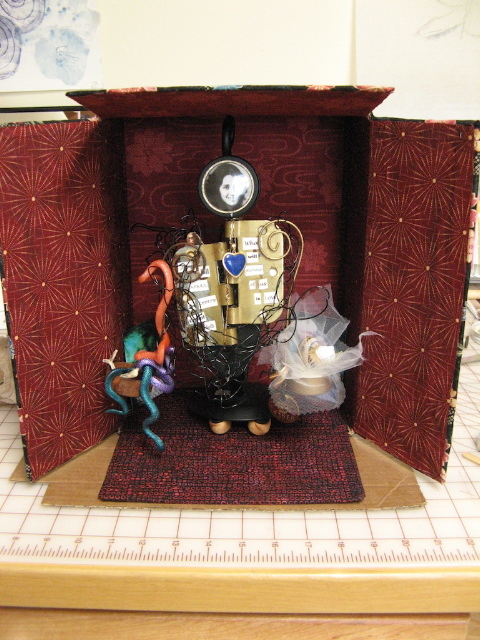 Once a year, I open my studio for this hands-on workshop to learn how to make your own mixed-media shrine or shadow-box, and it is always a blast! 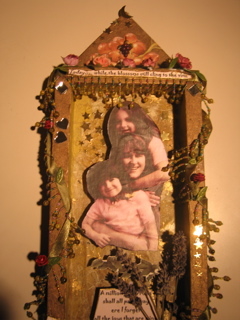 Create your very own assemblage in a shrine or shadow box form! Please bring a box to work in. 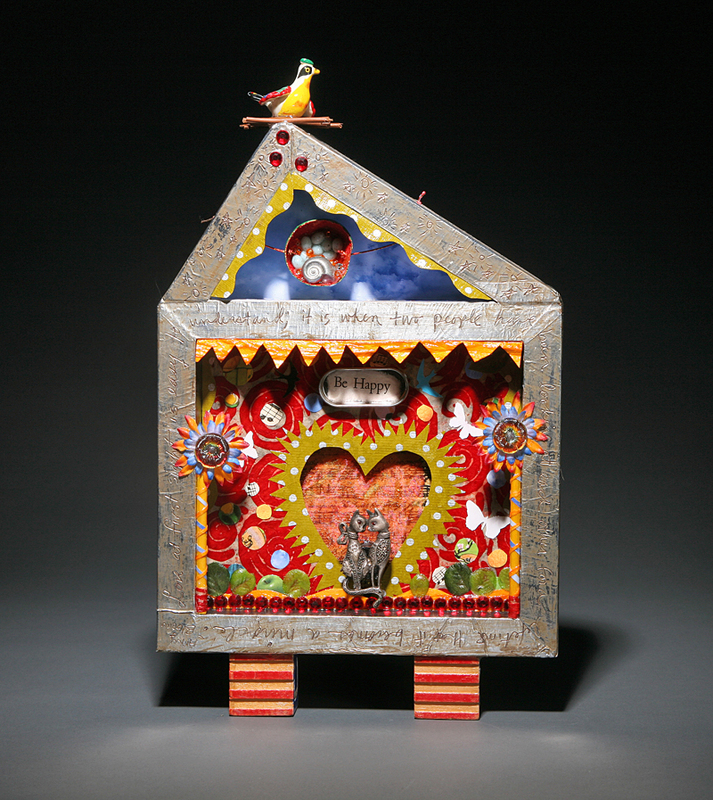 Great options include: cigar boxes, small dresser or jewelry-box drawers, pre-made craft-store shadow boxes, etc. All other basic materials are included in the price of the workshop, including: glues, acrylic paints, papers, ephemera, glitter, etc. I pretty much put my whole stash out there for you to pick through! 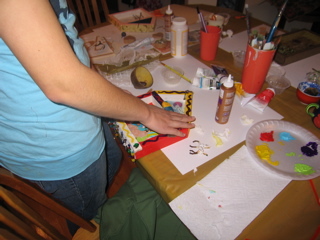 Students are also encouraged to bring special materials you want to incorporate into your piece. You are also welcome to bring stuff you want to swap or share. The workshop is designed for adults but mature teens are welcome, too. Students will receive detailed information via email after registering. shrinen. A container or receptacle for sacred relics; a reliquary. 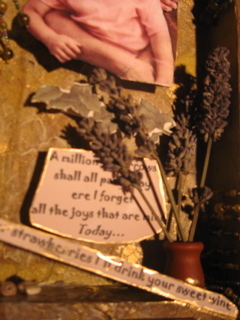 For artists, shrines and assemblages are generally sculptures incorporating found objects. 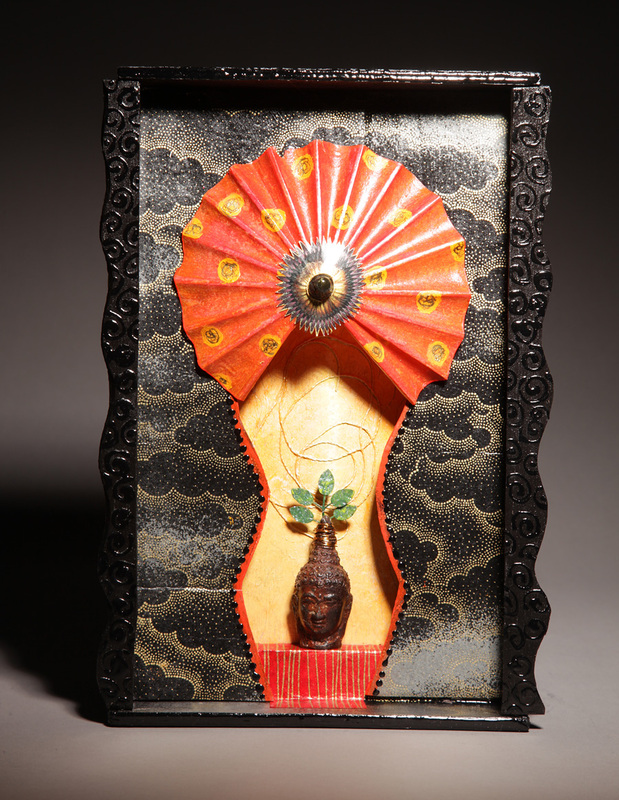 A shrine might be for sacred objects, or for the celebration of a theme or idea close to the artist's heart. At home: Continue to gather elements. Refine and size photos and text. Stay in relationship to your piece. 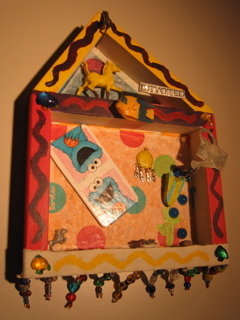 At home: Keep visiting with your piece, see what interesting elements float through your world. Stay in relationship to your piece. 1. Pay in full today. 3. If a custom payment arrangement would allow you to enjoy the workshop, please make the $75 deposit to reserve your space and then email me at salteecreative@gmail.com to propose a plan that works for you. I'm flexible as long as payments don't extend past October, 2019. I LOOK FORWARD TO GETTING MESSY WITH YOU THIS FALL!